Looking for something to add to the mix of football, turkey and shopping this Thanksgiving holiday weekend? Why not spice things with a get-away weekend and live Blues music? The Main Theater in Ephrata has a show scheduled on Friday the 26th that looks like a winner. Combine that with a homey place to stay (The Smithton Inn of course), and lots of great shops throughout Lancaster County where you can get a start on your holiday gift buying (I’ll give you a great list! ), and you’ve got the makings of a unique & fun way to spend part of all of this holiday weekend. I have had the good fortune of living near Spady. The River Street Jazz Café, where Spady routinely plays and has recently celebrated his 15th year playing there, is only a few miles from my parents’ home in Exeter, PA. Also, my guitar teacher back there has studied and gigged with Spady, so this is the story as I’ve been told. After listening to this album, it’s no wonder why he was given a deal. Spady received accolades here in the states and in Europe. But sadly, his use of drugs, as noted in songs like “Nature of the Beast” and “Change My Way of Living”, unraveled his career. Spady’s band eventually left him after he would fail to appear at out of state gigs and he would be in and out of jail on a regular basis. Spady still gigs frequently in the Wilkes-Barre/Scranton area, where he is regarded amongst local musicians as the hippest cat that’ll ever grace the stages at local bars. In light of his unfortunate demise, there’s no doubting his talent. Spady has upstaged the likes of Buddy Guy at blues festivals and has earned the respect of legends like Robben Ford. He has flaked on gigs in prominent New York night clubs and still gets booked because he’s such a huge draw. During breaks in his sets in NYC it isn’t uncommon for him to be hassled for his autograph from people with British and French accents, some people not even speaking English. Although “Nature of the Beast” is a great album, it’s really nothing compared to him live. When you see him live and he plays his super-funky version of “Se La Vie”, then turns it around into “Cissy Strut” and finishes the trio with his original “Riding in Fast Cars”, you’re left breathless and wanting more. “Nature of the Beast” shows Spady’s potential. This is more of an R&B album, more than it is a blues album, as seen with tunes like “Baby Baby Baby”, “A Good Fool is Hard to Find”, and “Bad Axe”. Spady takes some good solos in this album, but his rhythms really make the album, along with some great help from the band. 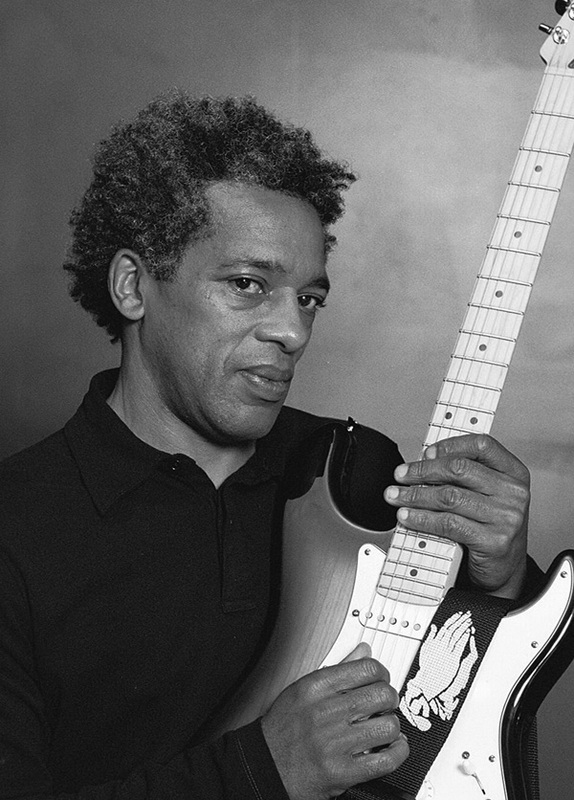 Unlike many other blues musicians, Clarence uses many influences in his playing. He has bits of every type of good black music in his playing, from traditional blues, to jazz, to funk, to gospel, to R&B. Clarence is so good that he never gives it 100% when he’s being recorded because he doesn’t want anyone copying his licks. One must take that into consideration when listening to this album. All in all, this is a wonderful album and is enough to give me my Spady fix while I’m away from home. If you’re in the Wilkes-Barre/Scranton area of PA, be sure to see if he’s playing. A live experience will send you to heaven, and you’ll leave knowing exactly what I mean when I say that his album really is nothing compared to him live. Even in light of the fact that he gigs as a three-piece now, with Bob O’Connel on keys and Sharon Smith on drums, he always pulls it off better than the album, no easy task. And lets’s hold on to some hope that maybe, just maybe he’ll change his way of living and record another album and follow up on it this time. There’s no doubt in my mind that if he wanted it, Clarence would be the next big thing, the next SRV, the next Robben Ford, the next guitar hero. Or, better still, check him out in person. Doors open at 8:00, show starts at 8:30. Tickets are $15 in advance. Click here to purchase tickets online, or call 1-800-838-3006.